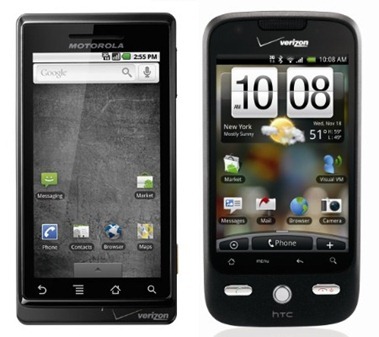 It has only been a week since the launch of the highly advertised DROID phones on Verizon – the Motorola Droid and HTC Droid Eris. Interestingly Verizon decided to launch both the handsets on the same day to attract different type of audiences. While it may have attracted some, it also generated a confusion as to which device was better than the other. 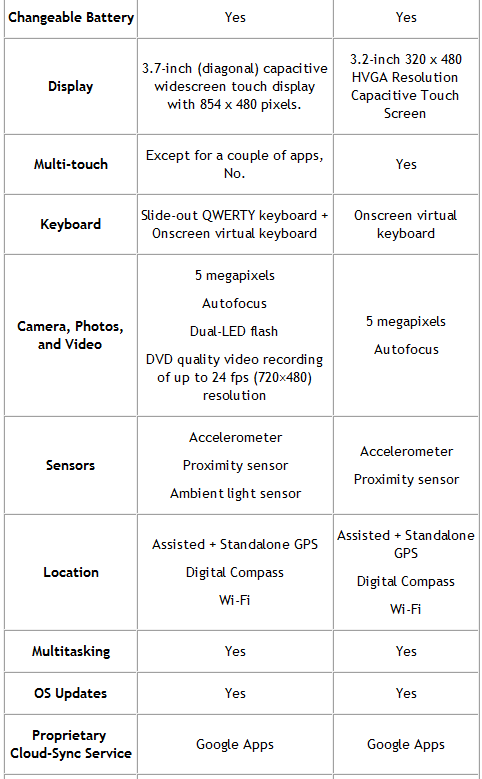 Both the devices are equipped with all the hardware features that one would expect from them. This includes, a high resolution capacitive multi-touch screen, 5 mega-pixel camera and so on. 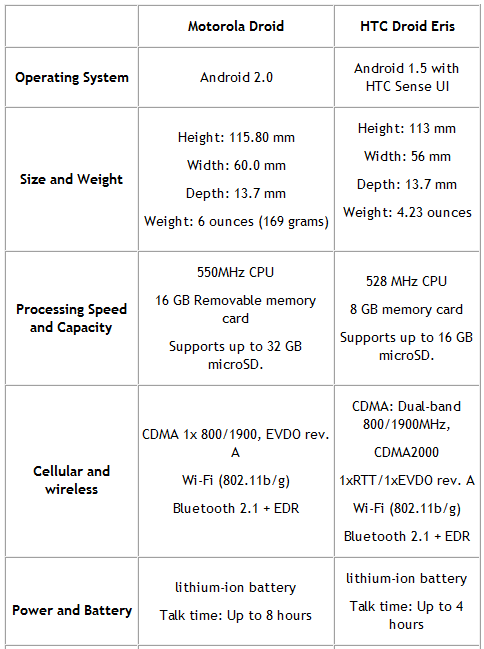 From the above comparison chart, it is pretty clear that Motorola Droid is a device with a higher profile in comparison to HTC Droid Eris, both in terms of hardware and software. However there are a few other options to consider, for example, you may or may not want a physical QWERTY keyboard, or full multi-touch support like in Sense UI etc. HTC has also confirmed that they are going to release Android 2.0 for both Hero and Droid Eris. So it may not be too long before you can enjoy all the goodies on Droid Eris that comes in Android 2.0, like universal inbox for example. In the end, it may comes down to choosing and prioritizing the features that you want in your phone before making your final decision. Let us know which one will you go for!